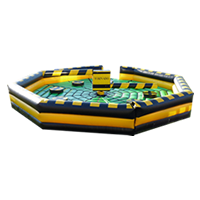 Tornado is an 8 player game action game, which challenges your stamina, agility and reactions. Not one but two spinning arms try to knock you off your podium. You have to duck underneath or jump over. Who will be the last one standing? The game is in a 29x29ft (9m. x 9m.) 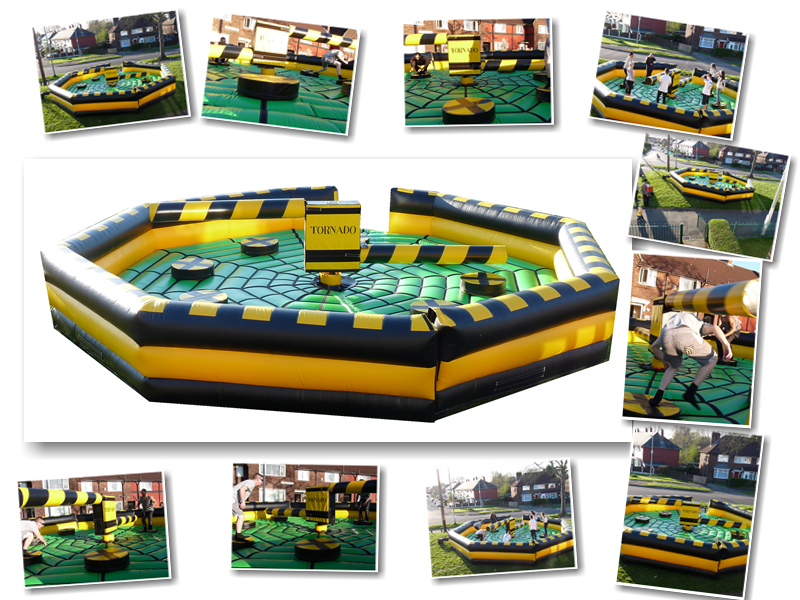 octagon inflatable, with 8 removable podiums for your participants. The bright green colour contrasts is attractive with the black, grey and yellow for a toxic tornado theme. Prices are for the Manchester, Stockport area. An additional charge for other areas will apply and we will cover the North West. You are able to select your area for delivery on the upcoming section of your booking. Ensue you have at least 30FT X 30FT to accommodate the unit safely. Should you meet the minimum requirements, you are now ready to book. Please select your date and time above.